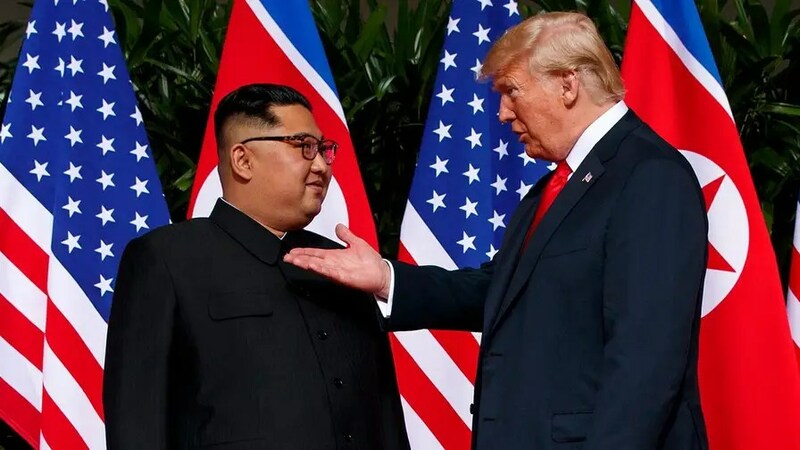 President Donald Trump’s remarks about North Korea no longer being a nuclear threat were made “with eyes wide open,” U.S. Secretary of State Mike Pompeo said Thursday. In remarks at a news conference in Seoul, the top U.S. diplomat added that any sanctions relief North Korea receives from the U.S. will be linked to efforts to denuclearize. Pompeo added that Trump was “incredibly clear” to Kim about when the U.S. would lift the sanctions. “We’re going to get denuclearization,” he stressed at the joint news conference with South Korean Foreign Minister Kang Kyung-wha and Japanese Foreign Minister Taro Kono, following their trilateral meeting in South Korea’s capital. “Only then will there be relief from the sanctions,” he added. Pompeo said Trump was alluding to the fact that it was the first time a sitting U.S. president had met with Kim, adding that both leaders had a “blunt conversation” about the need for the communist state to rejoin the world community. The president’s remarks about North Korea no longer being a threat were echoed Thursday by South Korean President Moon Jae-in, who said the Trump-Kim summit meant the world had escaped the threat of war. The president was also “unequivocal” with Kim about the need to return abductees from Japan seized by the North in the 1970s and 1980s, Pompeo said at the news conference. Pompeo also pushed back against reports coming from North Korean official state media, claiming Trump and Kim agreed to a “step-by-step” process, with many interpreting the announcement as the U.S. giving concessions to the regime along the way.